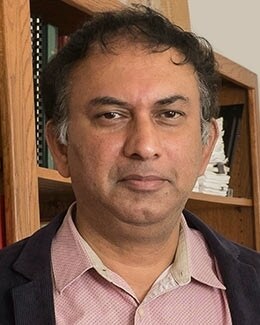 Pulickel Ajayan, the Benjamin M. and Mary Greenwood Anderson Professor in Engineering and founding chair of the Department of Materials Science and NanoEngineering, has been chosen to receive two major honors in his field: the 2016 Lifetime Achievement Award in Nanotechnology from the Houston Technology Center and the 2016 NANOSMAT Prize. The Houston Technology Center is the largest technology business incubator and accelerator in Texas. The NANOSMAT Prize is the top honor from the NANOSMAT Conference, one of Europe’s premier annual meetings devoted to nanoscience, nanoengineering and nanotechnology. A pioneer in the field of carbon nanotubes, Ajayan will receive the Houston Technology Center honor at the center’s 13th annual “Celebration of Entrepreneurs” May 12 in Houston. He will receive the NANOSMAT Prize at the 11th NANOSMAT Conference Sept. 8 in Aveiro, Portugal. Ajayan’s research interests include synthesis and structure-property relations of nanostructures and nanocomposites, materials science and applications of nanomaterials, energy storage and phase stability in nanoscale systems. He earned his doctorate in materials science and engineering from Northwestern University in 1989 and spent three years as a postdoctoral researcher at NEC Corp. in Japan. Ajayan joined the materials science and engineering faculty at Rensselaer Polytechnic Institute in Troy, N.Y., following stints as a research scientist at the Laboratoire de Physique des Solides, Orsay in France and as an Alexander von Humboldt fellow at the Max-Planck-Institut für Metallforschung, Stuttgart in Germany. He joined Rice’s faculty in 2007. Ajayan has published a book and more than 600 journal papers, which, according to Google, have received more than 76,600 citations and an h-index of 127, based on citation data from Thomson Reuters.